On 17 December 1903, the first powered airplane was invented and flown as an instrument of trade and commerce, carrying mail first, then mail and passengers, flying less than 100 miles an hour (160 Km per hour). By 1943, the number of people travelling by air had grown beyond the industry's wildest dreams. This phenomenon was actually changing the society and lifestyle of the world ... Larger aircraft, speed and distance brought about huge airports located far from the metropolitan cities, dictating needs within the airport terminal buildings. Travellers, while waiting for their flight or to change planes to continue their journey, as well as airport employees who have to work all hours and days, did not have a place or facility within the airport terminal that they might go to for prayer or meditation or counselling. The need for an airport ministry within the airport complex was first realised in 1944 by an Eastern Airlines employee, Ed Hogg. 1. A place that is always open, affirming the many faiths that mingle at a giant airport. 2. A place set apart for individual prayer and meditation. 3. A welcomed oasis of stillness and quiet in the rush and roar of an airport facility. 4. A chaplain available for those who face emotional crisis and need personal guidance and counselling. The first known Airport Chapel was opened in 1951 at Boston's Logan International Airport under the direction of Cardinal Cushing. Other chapels opened soon after and in 1961, Father Xavier de Meeus of Brussels met with Father Steux in France at Orly Airport. Father de Meeus thought it would be a good idea to get other airport chaplains together and in 1967 ten priests met in Brussels and the International Association of Civil Aviation Chaplains, meeting annually since then. 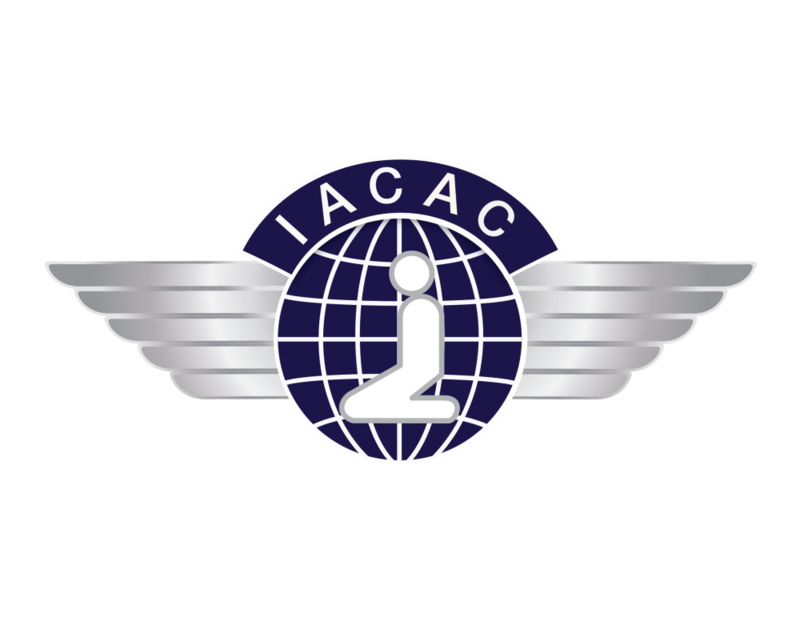 This Association is an ecumenical group of civil aviation chaplains whose work consists in the priestly, pastoral and prophetic ministering to and with people who work at and use airports/civil aviation. Its purpose is to nurture ecumenical and spiritual relationships in the world. This is to be accomplished through meetings at various locations, normally once each year. The laity is welcome to these meetings since they are the prime movers in starting most of the chapels. Today there are some 148 known airport chaplaincies in more than 39 countries. The Chaplaincy at Manchester is part of the British Isles and Eire group of the Association and meets every six months around the group to discuss best practice and share fellowship. 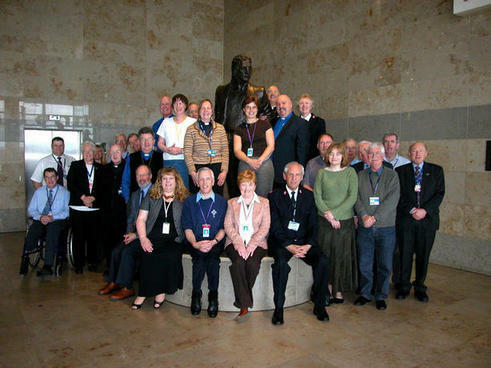 Picture of members of the British Isles and Eire Civil Aviation Chaplains Network taken in Liverpool April 2007 around the statue of John Lennon.